This is to inform all the candidates that applied for the Kano University Of Science And Technology (KUST), Wudil, Remedial Science and IJMB programmes admission for the 2017/2018 academic session, that they can now check their admission status online. KUST Pre-Degree / Remedial Science Admission List. 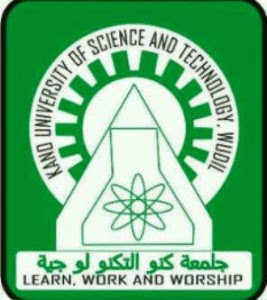 The under-listed candidates have been offered Provisional into the Pre-Degree Programme of Kano University Of Science And Technology (KUST) for the 2017/2018 Academic Session. The under-listed candidates have been offered Provisional into the IJMB Programme of Kano University Of Science And Technology (KUST) for the 2017/2018 Academic Session. Successfully admitted? Go to http://kustwudil.edu.ng/predegree/admission_letter/index2.php to print your admission letter.